Architectural blueprints depict what could potentially be in the (somewhat near) future. But not only that. They also show what once was when the development of human civilization has moved too fast – provided, of course, that the plans have been preserved. CP: Detail from William Adolph Peschelt (1853-1919), landscape architect, “Holmby,” the Arthur Letts home, Hollywood, California, 1908. Watercolor over graphite on paper. In an urban context with a somewhat reasonable economic growth where the population experiences exponential growth (such as in the City of Los Angeles), the constructed environment develops accordingly – and rapidly. And not often are the buildings, which seem important from today’s perspective, preserved. On the contrary, they are neglected, remodeled without any form of architectural sensitivity, and often even demolished. Alternatively, sometimes natural catastrophes due to the buildings what humans maybe would have prevented. Such was the case, for example, with the Dancing Pavillion on Fraser’s Pier in Santa Monica, which was never actually constructed as in Eager & Eager’s breathtaking drawing from 1910, but in a similar, flatter, version. The entire building burnt down in a fire which occurred in 1912. 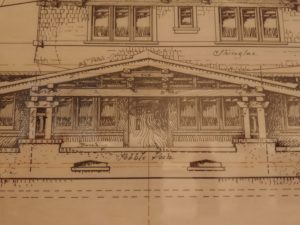 Thanks to the exhibit at the Huntington, we are now able to view the plans of that Pavillion as it originally had been envisioned by the architects at the time. CP: Katherine Bashford (1885-1953), delineator, 17th Century Spanish Garden, Vroman’s Bookstore, Pasadena, 1921. Florence Yoch (1890-1972), landscape architect. Ink, wash, and graphite on tracing paper. 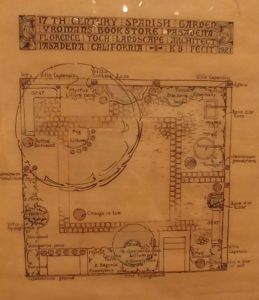 The renowned Vroman’s Bookstore in Pasadena: did you know that there once was a garden in the place of the now all-concrete courtyard? 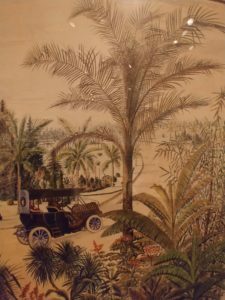 The drawing of the 17th Century Spanish Garden from 1921 by Katherine Bashford shows us what the experience once must have felt like to shop at Vroman’s. 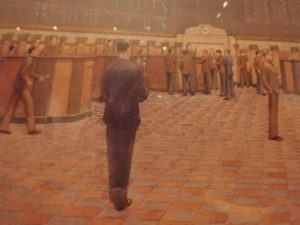 CP: detail from Roger Hayward, renderer, Los Angeles Stock Exchange, interior of trading room floor, ca. 1929. Samuel E. Lunden (1897-1995), architect, John Parkinson (1861-1935) and Donald Parkinson (1895-1945), consulting architect. Watercolor over graphite on illustration board. The noteworthy rendering of the façade of the Los Angeles Stock Exchange by architects Samuel E. Lunden (1897-1995) and John Parkinson (1861-1935) gives us an interesting measure of comparison between then-and-now: does the building still look the same? Are the sculptures on the façade, for which an Italian sculptor once was hired, still intact? How tall is the building today, compared with all the modern high-rises shooting up all around it? There are many ways in which this unique exhibit of drawings and renderings of Los Angeles’ architectural heritage of the 1920ties to 1950ties, which is merely a small display of the Huntington’s Southern California Architecture Collection and characterized by its multi-faceted styles, can be enjoyed. The exhibit will open on October 6, 2018, and remain on display until January 21, 2019. CP: Detail from Foss Designing and Building Company, Residence for Mr. and Mrs. F.H. Lemon, Pasadena, East and Front elevation, May 17, 1912. Henry Monroe Banfield (1877-1941), architect. Ink on tracing cloth. Wednesday, Oct. 17 & Thursday, Oct. 18, 2018, 5-6 PM. 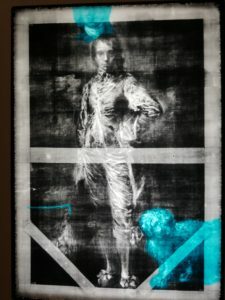 If you have made a trip to the Huntington Library, lately, trying to catch a glimpse of the famous British painting by Thomas Gainsborough (1727-1788) with rock-star status knick-named Blue Boy, you might have been out of luck. The museum in 2017 decided to take the painting down because it was in need of conservation treatment. The issues of the famous painting, purchased by Henry Huntington, the museum’s founding father, in 1921, are a hazy and dull appearance of the original color, lifting and flaking of the paint in several areas, as well as the existence of layers of varnish added during earlier conservation treatments, which partially add to the hazy appearance of the colors, and need to be removed. A tear of the canvas in the lower left-hand corner is among the findings which have been made during the preparatory process of conservation while the painting was removed from display last year. It is among one of the critical questions surrounding the research of this painting, who this man might have been that Gainsborough started the canvas out with, and then overpainted with the portrait of the boy, initially named A Portrait of a Young Gentleman. The blue color of the boy’s costume as well as its style – gone out of fashion at Gainsborough’s time – point towards the painter’s intention to reference the work of Anthony van Dyck whom Gainsborough admired greatly. Could it be, that Gainsborough was planning to make a portrait of the first owner of the portrait, Jonathan Buttal (1752-1805), but then changed his mind and made this more conceptual type of painting for his client? There is a theory among art historians that Jonathan Buttal is Blue Boy. However, there is a theory that goes in parallel which states that the painting is a portrait of Gainsborough’s cousin, Gainsborough Dupont, the painter’s apprentice and artist in his own right. What if both theories were correct and Gainsborough indeed started out by making the portrait of his client, but then, through a moment of magical inspiration and with the okay of Mr. Buttal, chose to create Blue Boy instead? No one knows for sure the exact identity of Blue Boy, nor of the mysterious man appearing behind him. 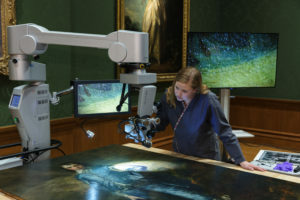 However, anyone, who would like to take their shot at solving this mystery, or anyone, who is interested in learning about the process of art conservation, can visit Blue Boy at the Huntington again. 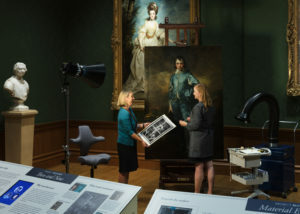 The conservation of the painting, which is on display in a special satellite conservation studio set up in the west end of the Thornton Portrait Gallery of the museum since September 22, 2018, will be partially visible to the public. Christina O’Connell, the museum’s senior paintings conservator and not new to this type of “work on display” experience, will be working on the painting each Thursday and Friday from 10 a.m. to noon and from 2 to 4 p.m., and on the first Sunday of each month from 2 to 4 p.m.
Not that the construction of Pasadena Central Library on 285 E. Walnut Street would be a mistake. On the contrary: built by regional Architect Myron Hunt (1868-1952) in 1927, the main library of Pasadena is an example of the City’s rich architectural heritage. Myron Hunt was not only a member of the Steinway Hall group of Chicago which later on became known as the Prairie School and worshipped by Frank Lloyd Wright, Hunt spent over two years in Europe (1893-1896) with his wife Harriette studying the Architecture of the Renaissance. He also participated in the formation of the Arts and Crafts Society which influenced the Architecture of the time. The detailed wooden carvings of the interior shelves and panels in the Pasadena Library are a beautiful example of this love of craftsmanship. The exterior language of the facade – pilasters and moldings with classicistic motives – speak of the many buildings Hunt must have seen during his visits in Italy. But strangely, the plate over the second pilaster is reversed. It is unclear how this mistake came to be. It is barely imaginable that someone like Hunt – he obtained his formal education as an architect at MIT from 1890 – 1893 and he, later on, worked for the architectural firm Shepley, Rudman and Coolidge in Chicago from 1896 -1903 – would draw one plate upside down. Was Hunt a man of the awkward temper who enjoyed observing people, wondering, if anyone would ever notice? Was it an intern who drew one plate while standing at one end of the table, then turned around and drew the other three on the other end of the table and Hunt was too busy to notice? Or was it an angry construction worker who sought revenge by sabotaging his bosses work? No one will ever know. Myron Hunt was not a man of many words. 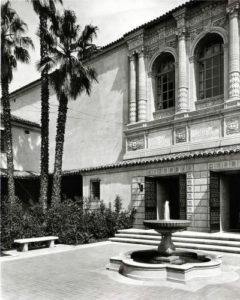 While he left behind an impressive body of works in the City of Pasadena and the surrounding areas (for more works by Myron Hunt see Pasadena City Hall, The Rose Bowl, Occidental College, Huntington Memorial Hospital to name just a few), Hunt, unfortunately, left behind no written materials. And for all the history buffs and architectural aficionados, the mystery of the reversed plate on the Pasadena Central Library shall remain – until further – forever unsolved.